This one is for all you girls like me - which I'm sure is all of us! 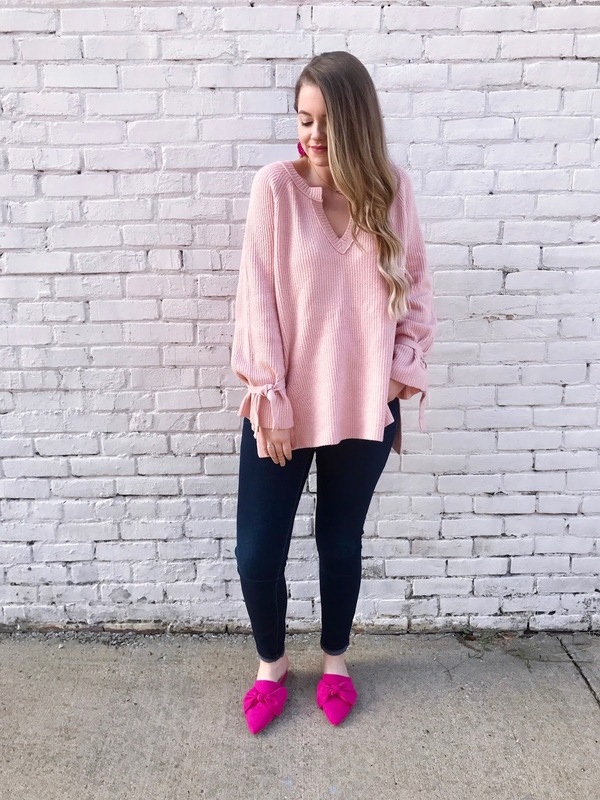 I'm all about the soft knits this time of year, so I've rounded up my favorite picks!! How cure are those velvet scrunchies and plush socks?! 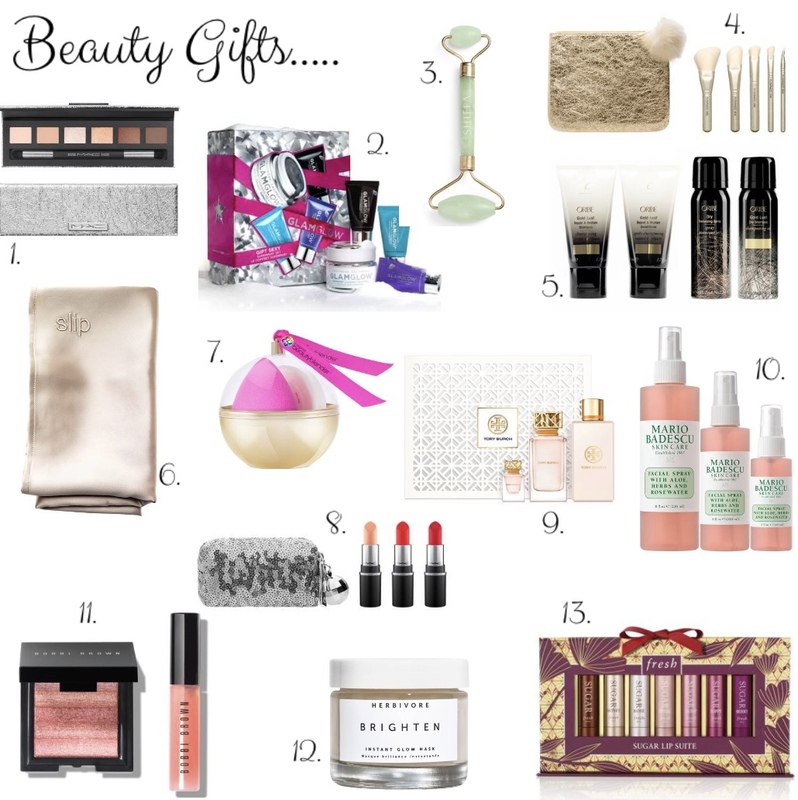 I'm trying to make gift guides for all the girls out there, so please let me know if there's one you want me to do! Yay for Friday! I'm ready to have cozy nights in all weekend haha - I'll probably get my nails done too because they look awful! Currently typing this while I'm half asleep. So if you see any typo's, just ignore it haha! I'm obsessed with this dress, and so is my mom lol! I got a ton of compliments when I wore it to church Sunday morning. I think the blue is a fun twist for a holiday dress! I plan on wearing it to one of our Christmas's. I paired it with my faux leather jacket. I've had it for a while and never seem to wear it. I feel like it looks so weird on me!! But I spent so much on it, I hate not to wear it haha. My earrings are from AdenandClaire! It's an Etsy shop. I think the earrings are perfect to wear to all of your holiday parties!! Happy Wednesday, Yall! I'm beyond tired. I really should've written this earlier, but I feel like there's never enough time!! What are yall up to today? Me and mom have a few errands to run - getting some more ribbon for the Christmas tree and taking some pictures for the blog. 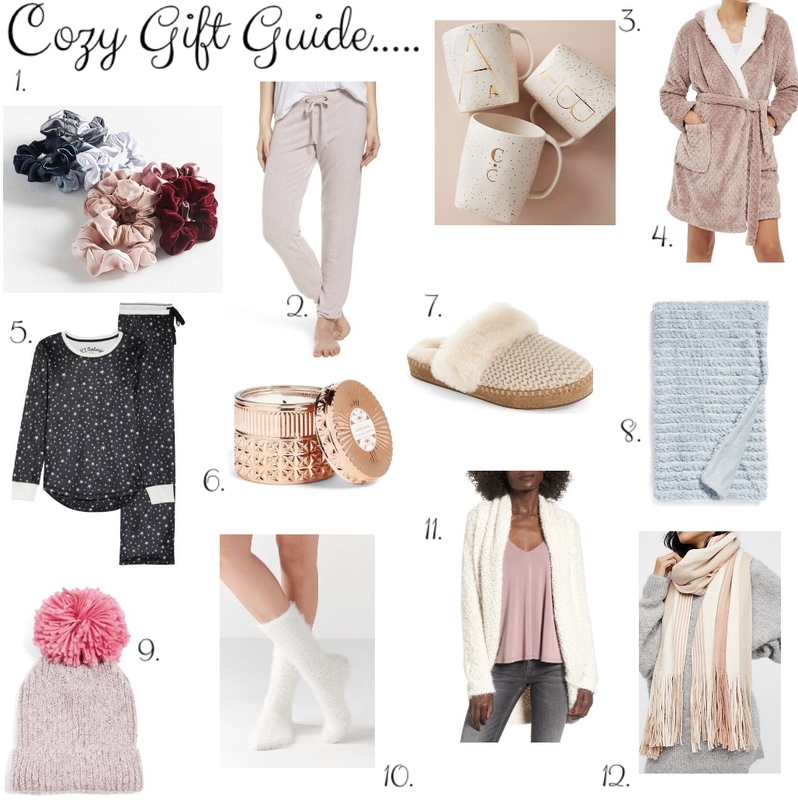 I was honestly dreading creating this gift guide, but I think this one has been the most fun to make so far! I had a few ideas in mind to start with, but I asked John for some too - and he also asked his friends for some help! So most of these are coming from real guys haha! I made sure to create something for ALL the guys - Athletic, Tech, Gamer, Traveler, Homebody, ETC.. 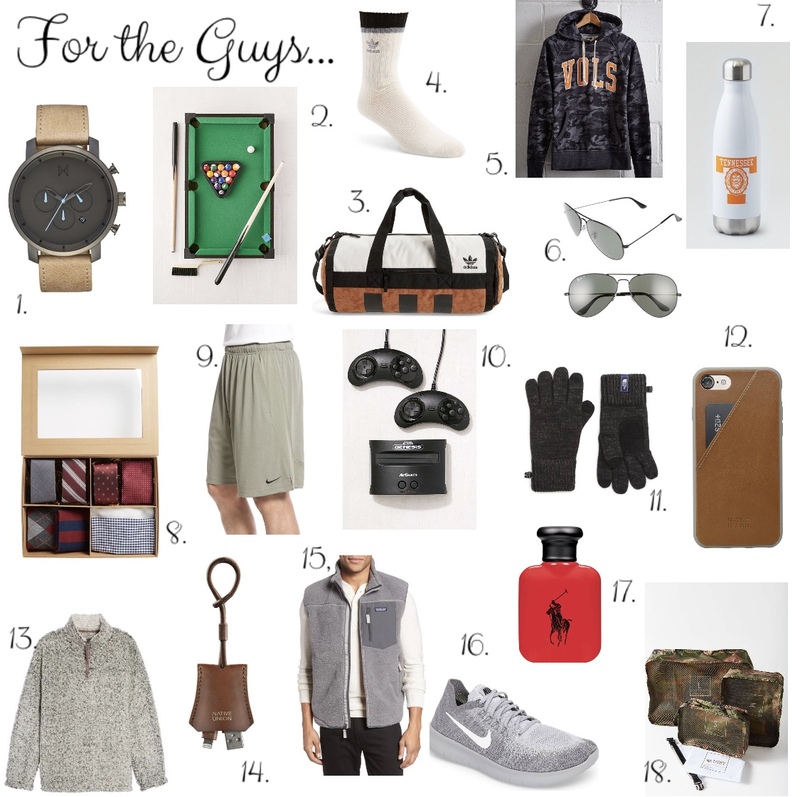 So I am positive there is something on this gift guide for all the guys in your life! Also: if you or your guy are not Vols fans, sorry!!! We are from TN and my boyfriend is obsessed. But if you click on the link to the Vols stuff, there are a ton of other team options! It's REALLY hard for me to pick favorites from this one lol. But if I were to buy John something from this list I would choose from #1, #6, #10, & #15 (even though he hates aviators). How was yall's Thanksgiving holiday?? Ours was great! We had 2 late lunches - like an hour apart!! So we were definitely stuffed all afternoon and night!! It was so nice spending time with our family and I'm so glad Lola got to come with! She did so good around the other dogs! 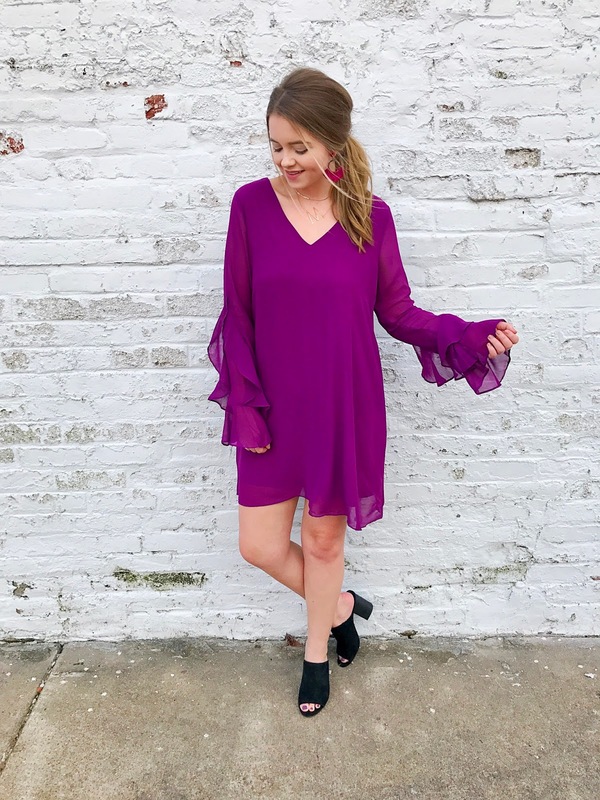 Lilac has always been one of my favorite colors and I've been seeing it everywhere lately! 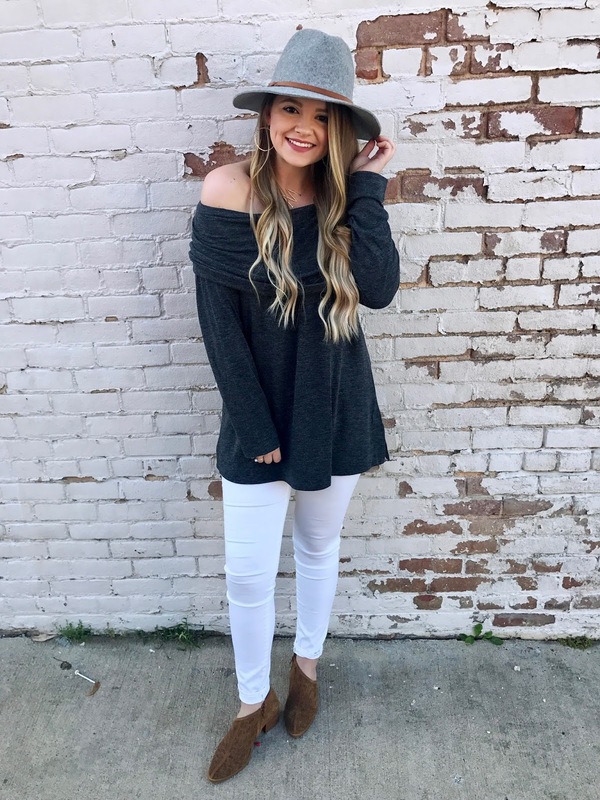 This sweater comes in a handful of colors and is currently 50% off making it only $17! Everyone needs this sweater! 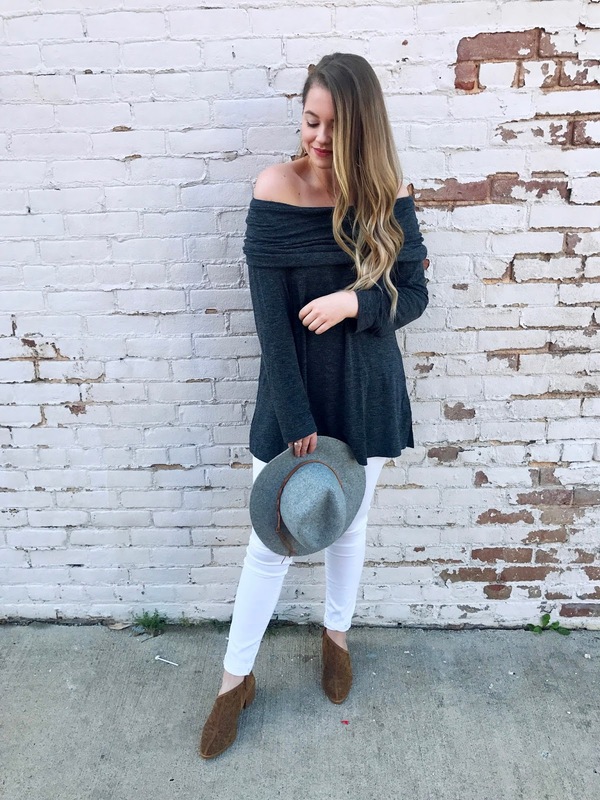 It's such a great basic and so easy to style. 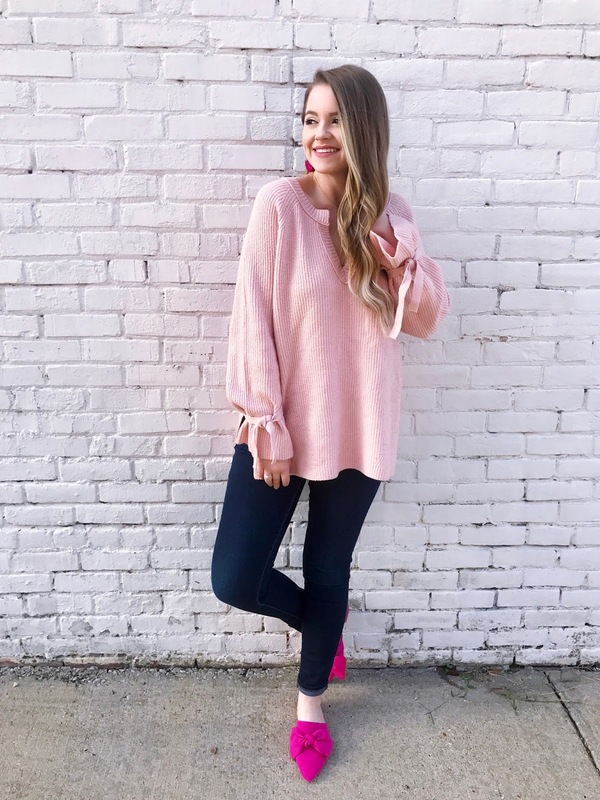 I paired it with my favorite crop jeans - I wear these ALL the time! Wondering if it's acceptable to wear them in 30 degree weather?! Haha!! My boots are sold out, but I linked similar above that are just as cute. Happy Wednesday!! Are yall ready for the holiday tomorrow?! We are traveling to Murfreesboro to be with family and I don't think we are going Black Friday Shopping..I will probably do most of mine online!! Be sure to check my Black Friday Sales tab - I will be updating it as I find new sales! 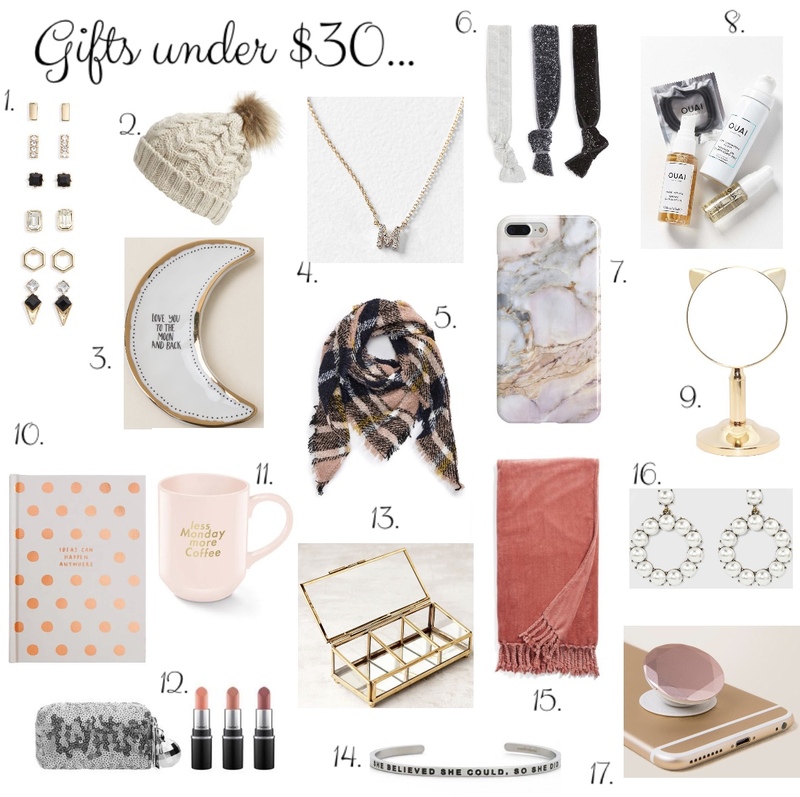 My first gift guide is finally up!! This is really what I'm asking for!! #8 probably will never happen but ya girl can dream. I think my top pick this year is an Apple Watch - yes, I'm late to the game haha! I hope yall have a great Saturday!! We are under a wind advisory and it looks scary outside haha. I have to put Lola on a leash now because all she wants to do is play in the leaves - they are blowing all over the place! 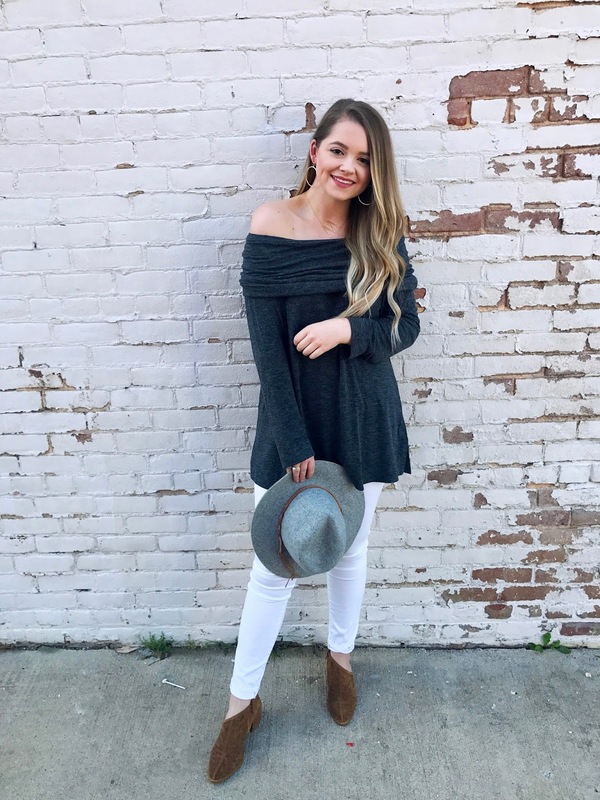 This is my absolute favorite look I've put together this Fall! It would be perfect for Thanksgiving, too!!! 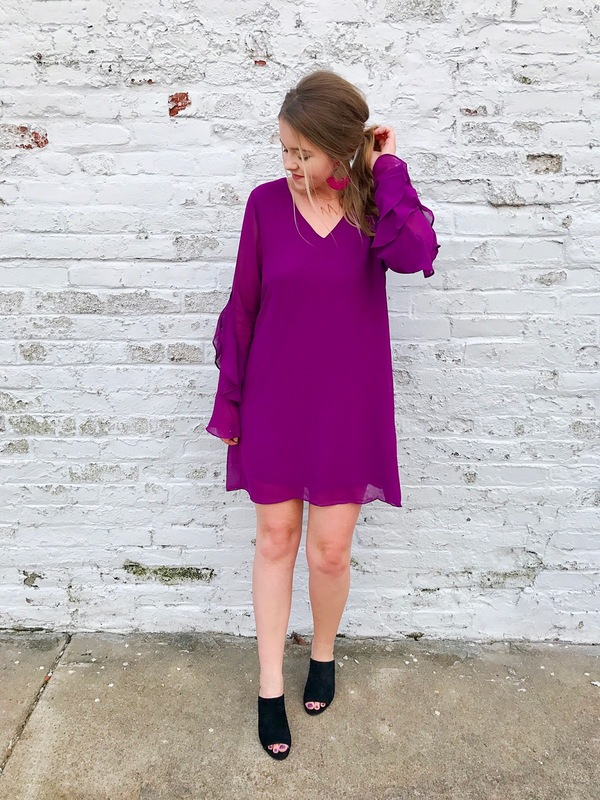 It has been so hard to find a sweater dress that isn't too tight - but this one is a winner!! 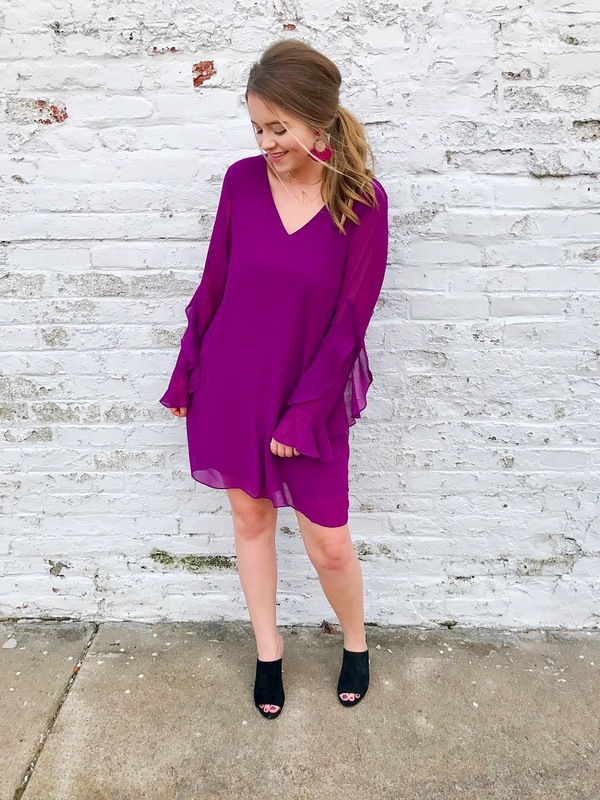 I'm wearing my regular size - this dress is only $55 and comes in grey and dark red, too! 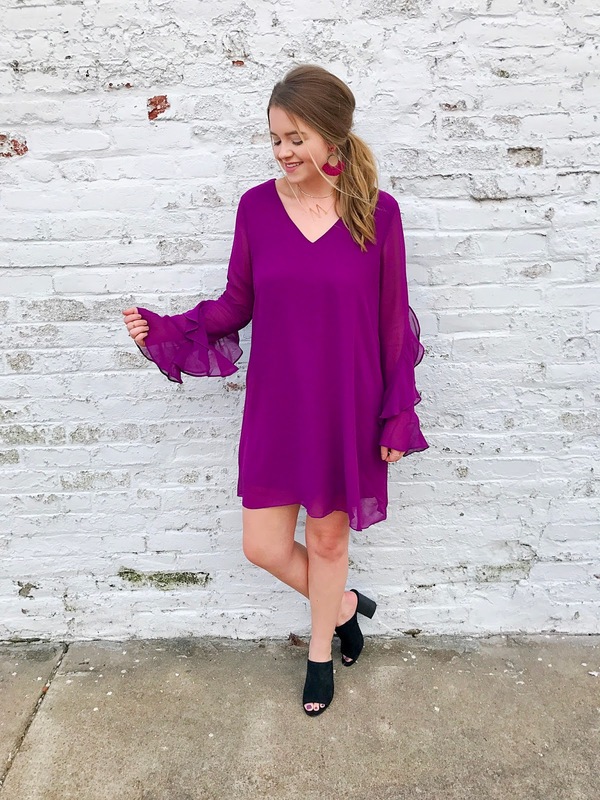 Also obsessed with the bell sleeves! They have the cutest tie detail that is everywhere right now. The best purchase I have made in the last few weeks have definitely been these OTK boots! They are tts and so so comfy! I literally can't stop wearing them. I would have never dreamed I would trade in my booties for these, but it happened! Next stop: a black pair!! Happy Wednesday, Yall! What are yall up to this week? I'm heading to Memphis Friday for a hair appt.. I'm getting my extensions colored to match more of my normal hair color and can't wait!! I honestly had so much fun putting this one together! I don't wear this kind of stuff everyday, but I wish I did! 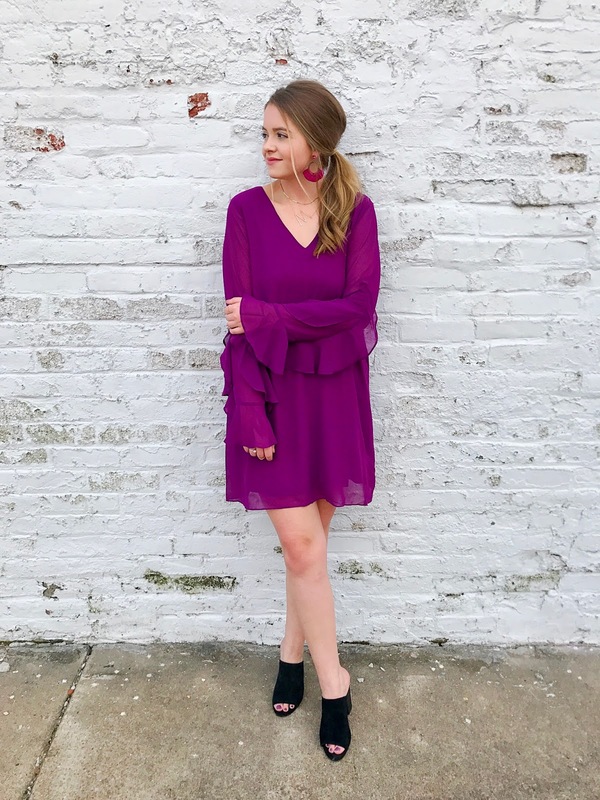 Not only do I think these looks are great for the holidays, I think both of the dresses are perfect for church! I plan on ordering both of them - and they are such a great price!!! Are yall loving leopard as much as I am this season?? I need more of it and I'm absolutely obsessed with this coat and bag!!! Happy Saturday, yall!! 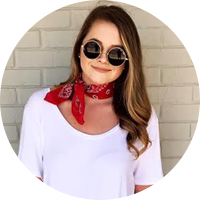 I plan on taking some blog pics and cleaning out my closet! It's seriously the biggest job ever haha!! Oh I also have to do laundry...It's my least favorite chore - anyone else agree?! Yall asked and I delivered!! Thanks to everyone who voted on my Instagram polls the other day! I was just going to do this post, but only half of yall said yall dress Casual for Thanksgiving! 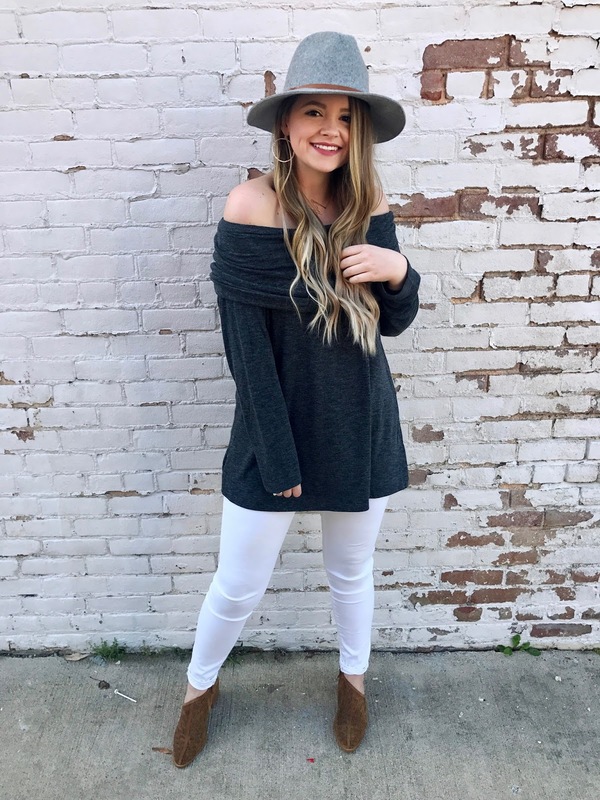 That really surprised me because I'm all about oversized sweaters that hide my food baby hahaha! 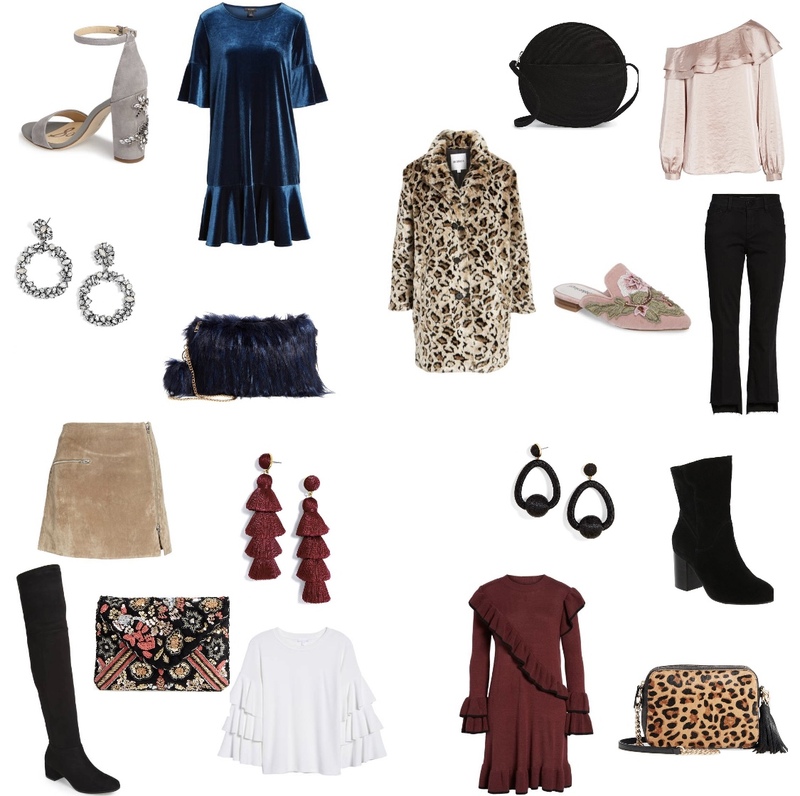 Every outfit here is one that I would personally wear! Although I think #4 is calling my name. I'm really planning on wearing the sweater and I need those jeans!!!! Within the next few days, I will post my dressy Thanksgiving looks! Hope yall enjoy this post - if you have any questions please message me! 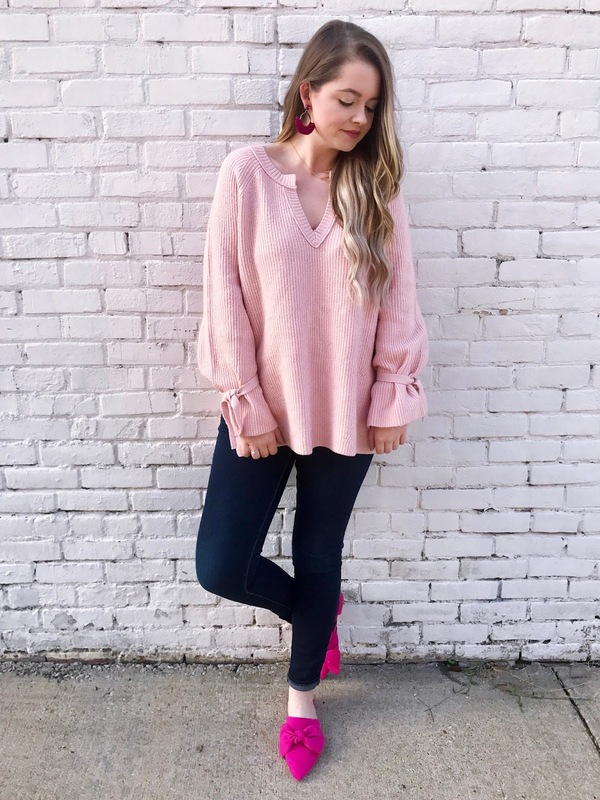 I'm linking more sweaters and a TON of accessories below! 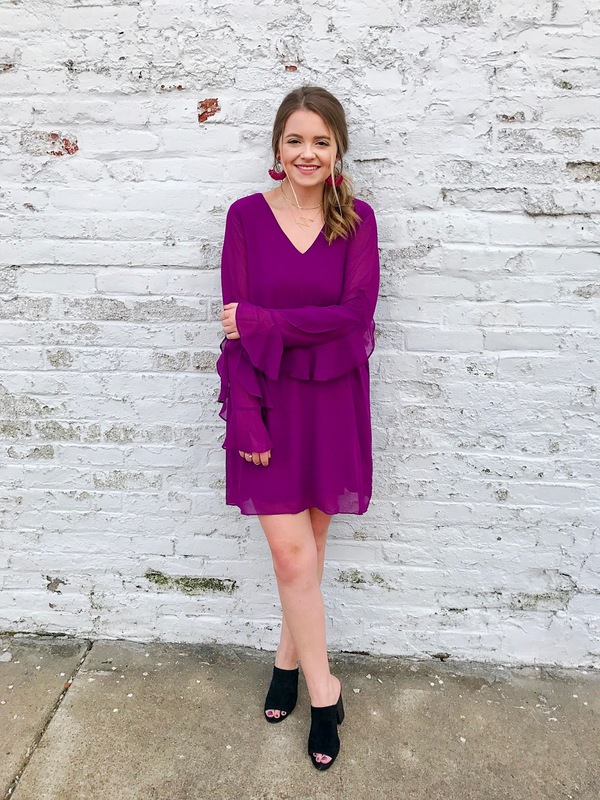 Bows are a major trend right now and I'm not complaining! This sweater is one of the comfiest I own and also right on trend. 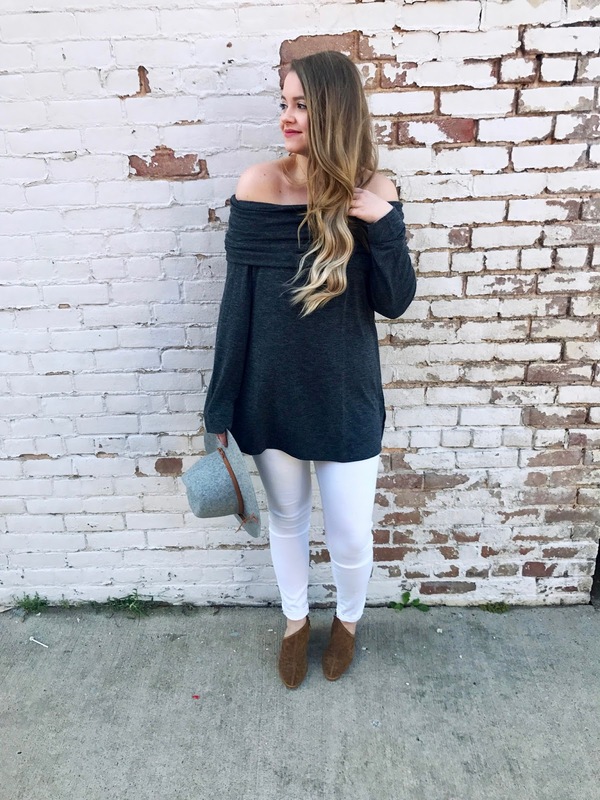 I've seen a ton of bow-sleeved sweaters lately, but none that are this oversized and long. 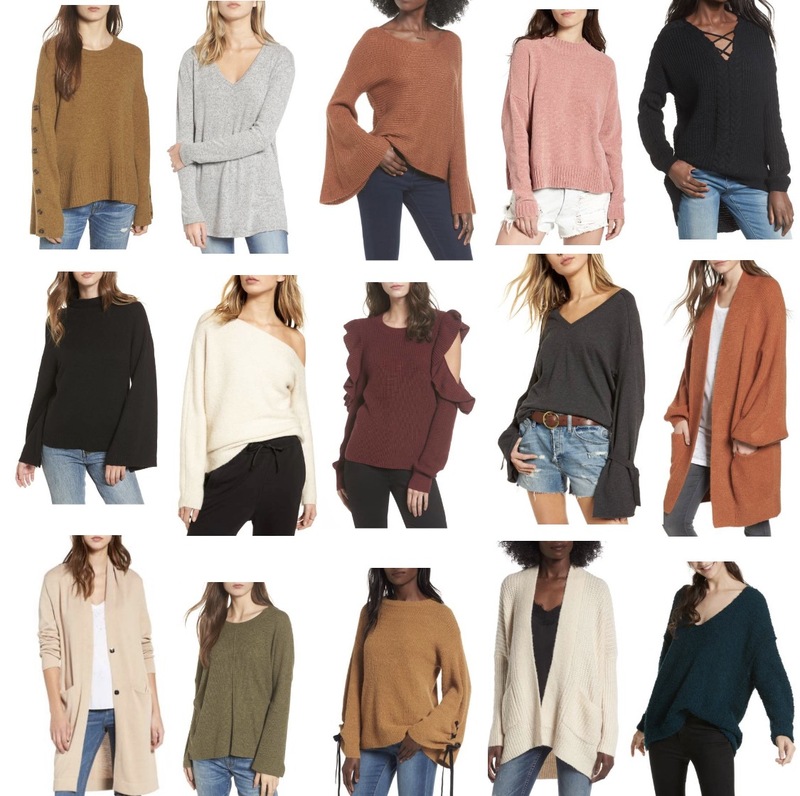 If yall haven't already noticed, I prefer longer tops/sweaters!! I'm 5'7 and a lot of tops are shorter...so when I find one thats longer, it's a for sure winner in my book. 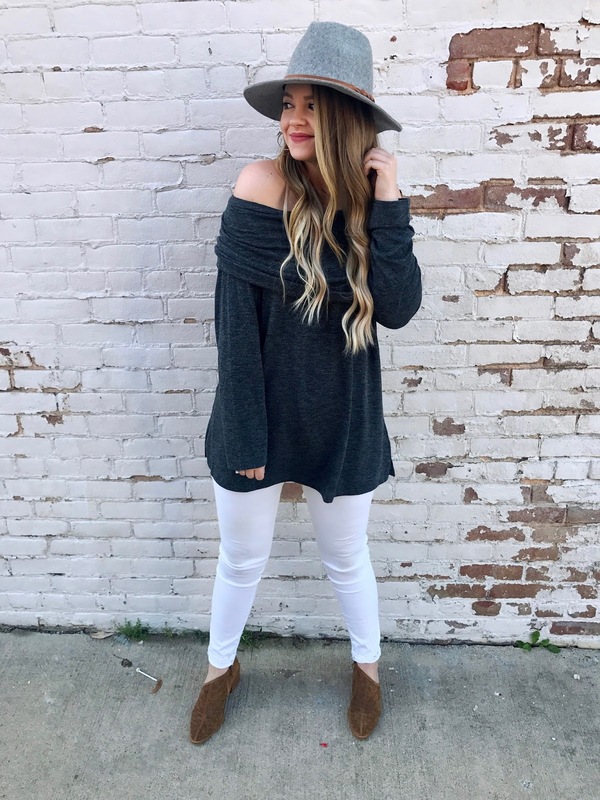 This one comes in black and grey too and ONLY $22! Talk about a MAJOR sale! That's more than half off!! 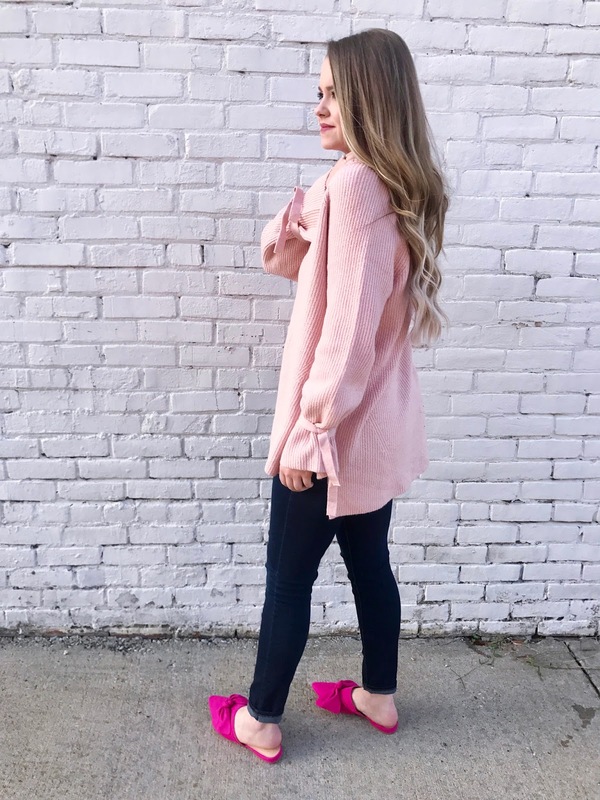 My pink bow slides have been so popular lately! Sadly they are sold out, but I linked a pair that are somewhat similar!! I hope yall had a great Halloween!! Lola was a mermaid!!! How in the world is it already November?! This time of the year is my absolute favorite! Probably because of all the candy and food we get to eat haha!!! Have yall watched Stranger Things 2 yet?? I just started!! It's seriously sooo weird, but so good! Obviously I'm having a lot of random thoughts - gotta squeeze them into one blog post haha!